The loss of moisture from lips makes your lips dry and chapped. Honey has nutritional characteristics which makes it an excellent healing and anti-bacterial agent. Coconut oil is good for use on any part of the body. Dehydration can cause dryness of lips, so hydrate your body by drinking plenty of water. Unlike the skin on the other parts of the body, the lips do not produce natural oils to protect them from low humidity and cold winds, which is the most common cause for dry and sore lips. The loss of moisture from lips, leading to dry, chapped lips can be caused by exposure to sun, cold, dry winds and even repeated licking of lips. In extreme cases, sore lips may split and bleed, causing much discomfort and pain. There are a number of simple home remedies, which will help you to avoid this extreme condition. The nutritional characteristics of honey make it an excellent healing and anti-bacterial agent. And Vaseline is considered one of the best skin protectants. A combination of these two makes an effective home remedy for sore lips. Apply some honey on your lips and let it dry for a few seconds. Put a thin layer of Vaseline on top of this. Leave to dry for 10 – 15 minutes. Dip a Q-tip in warm water to gently remove the layers. Coconut oil is one of nature’s valuable gifts to us. Its light consistency enables the body to absorb it instantly. Coconut oil is good for use on any part of the body, but it is especially beneficial for the treatment of sore lips. For best results, apply several times a day, especially when the weather is cold and dry. 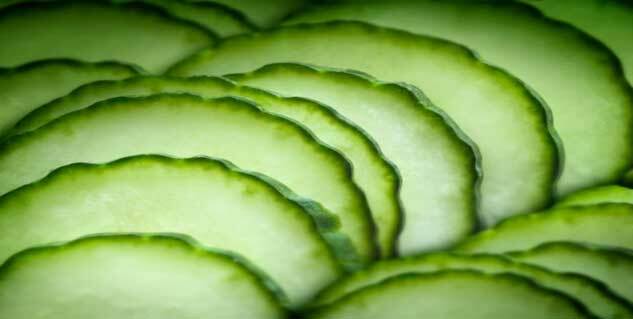 A thin slice of cucumber rubbed gently on dry and sore lips have shown to be beneficial. The herbal benefits of Aloe Vera make it an excellent healing agent for the skin. A small amount of Aloe Vera gel applied on the lips will help in moisturising and protecting sore lips from dryness. Make sure that your body is not deficient in vitamin B, iron or essential fatty acids. These deficiencies may cause scaling and cracking of lips. A multivitamin / mineral supplement, taken after consultation with your doctor will help. Dehydration can cause dryness of lips, so hydrate your body by drinking plenty of water. Water intake should be increased in winter to combat the extra dryness of the atmosphere during this season. A humidifier will have added benefits. Rule out allergy to lipstick dyes and flavouring agents in toothpastes and mouth wash.
Use a soft (baby’s) toothbrush to exfoliate lips by gently rubbing a wet toothbrush over your lips. The removal of the dead cells will help softening of lips. Vitamin A is important for repair of skin. Up your intake by consuming more of vitamin-A rich foods like carrots, tomatoes, green, leafy vegetables, whole grains and legumes. An excellent vitamin rich juice, made by blending 1 tablespoon each of watercress, carrot and spinach juice, 2 tablespoon of wheat germ oil, 1 glass of tomato juice and 1 tablespoon of nutritional yeast, will supply your body with plenty of nutrients and will make your skin soft and glowing and your sore lips will also become soft and plump.